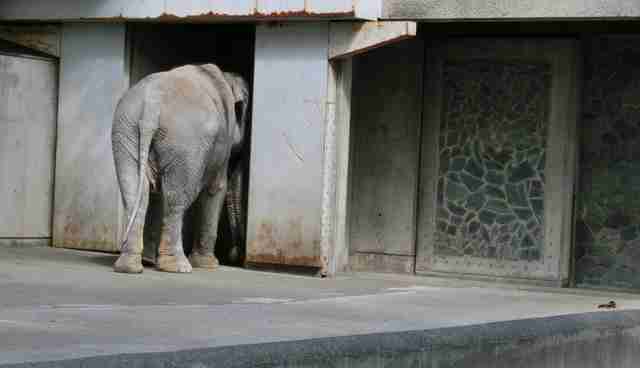 Hanako the elephant has been living in a concrete cell for 61 years. And now people are saying that's enough. 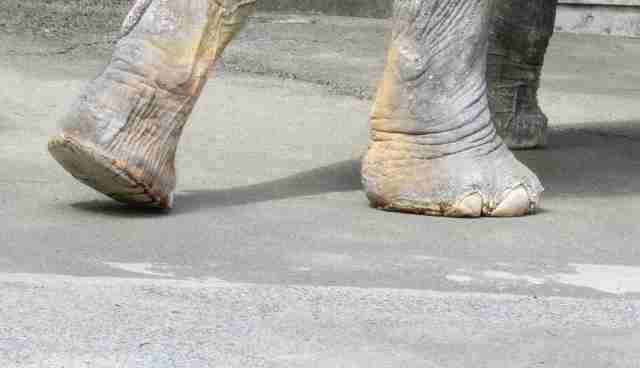 At 68 years old, Hanako is the oldest elephant in Japan. 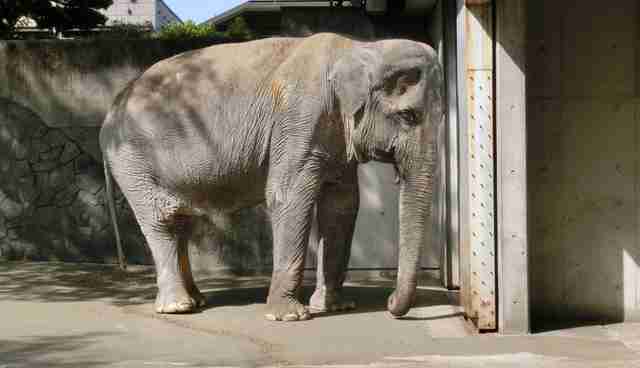 She's spent the past six decades at Tokyo's Inokashira Park Zoo, where she lives alone in a barren enclosure. There's no grass or trees - only concrete floors and walls. It's unclear when she last saw another elephant. One recent visitor described her home as "one of the cruellest, most archaic zoos in the modern world." "Totally alone in a small, barren, cement enclosure with absolutely NO comfort or stimulation provided, she just stood there almost lifeless - like a figurine," Ulara Nakagawa wrote. A video from 2013 shows the elderly elephant swaying back and forth as she plays with a piece of robe or tubing, one of the only enrichments available in her tiny pen. 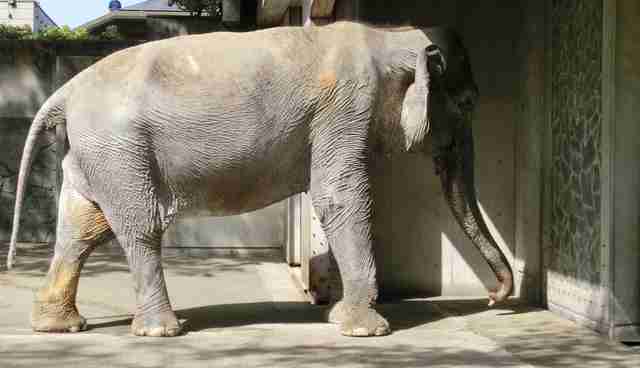 According to the Japan Times, Hanako was born in Thailand in 1947 and shipped to Japan's Ueno Zoo at just 2 years old. 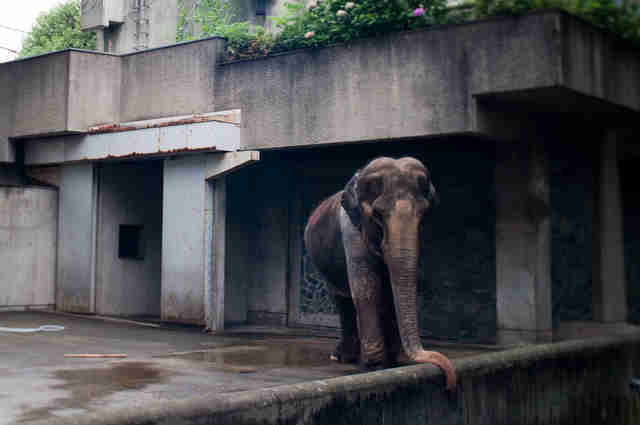 She was there to replace the zoo's previous elephants, who had been starved to death during World War II under orders from the Tokyo governor. A few years later, she was transferred to Inokashira, where she's lived ever since. She lost most of her teeth decades ago, and currently suffers from digestive issues. As a result of her long life of mistreatment, Hanako has developed something of a violent streak. She trampled a man who entered her enclosure in 1956, according to the Japan Times, and, later, a zookeeper, and was kept in chains for many years. And "with her increasing age she has become more temperamental," the outlet reported. A 2011 article by national paper Asahi Shimbun says that Hanako had flipped a keeper, threw a veterinarian and chased a staffer in the previous five years. Mikio Murofushi, the leader of Hanako's care team, said at the time that she was sure the elephant's aggression wasn't an accident. "A pure accident is impossible in the case of an elephant," Murofushi said. "An elephant is extremely intelligent and acts cognitively." Yet despite that intelligence, Hanako is still locked in her tiny concrete cell. And now people have had enough. A petition calling for Hanako to be released to a sanctuary or cared for properly had garnered several thousand supporters as of Monday, and asks that the elderly elephant receive medical attention, access to a pool and - after so many years - the ability to interact with others of her kind. While the elephant is now entering her twilight years, people around the world are hopeful that she can finally find some peace. But as so few elephant sanctuaries have connections to Japan, it's unclear from what corner help could come. "I'm hoping somewhere out there is some justice for Hanako and other captive elephants kept in such horrendous, unacceptable conditions," Nakagawa wrote. You can sign the petition here. The Dodo will continue to follow this story. Join 220 countries and territories around the world for the global premiere of Racing Extinction - Wednesday, Dec. 2nd, 9/8c on Discovery.